Two machined aluminum cups thread together keeping the bottom bracket stable in the frame, increasing bearing life, and simplifying maintenance. This means no more creaking, smoother operation, longer bearing life, and really quick bearing replacement. Specifically designed for installing 22mm / 24mm spindle diameter cranks (SRAM / Truvativ GXP) in PF30 (46mm ID BB shell) frames without the need for any adapters. 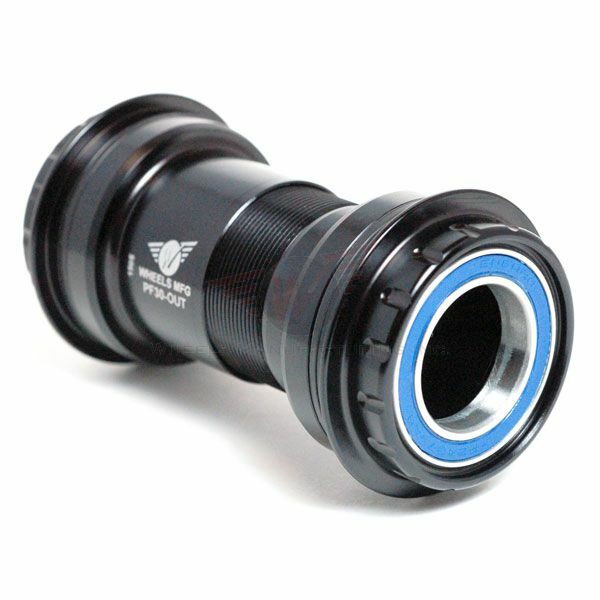 * Specialized Carbon OSBB with 61mm shell width will need additional 3.5mm cup spacers. - Over Bearing Width Dimensions include supplied silicone dust shields.